Do zero-tolerance drug policies at rave festivals actually make the problem worse? The scene at the Paradiso Festival last month. When 22-year-old filmmaker and electrical engineering student Vivek Pandher was found unconscious at the Paradiso Festival at the Gorge Amphitheatre on June 27, he was way too far gone to tell anyone what had happened. Pandher was rushed to the Quincy Medical Center by ambulance, his temperature critically high. At the hospital, crisis mode was already in effect. Employees had been brushing up on their party-drug knowledge all year in preparation for the festival, and as temperatures climbed in the days leading up to Paradiso, the three-bed emergency room had tripled its staff to get ready for the deluge of dehydrated concertgoers. Pandher was one of 53 of them hospitalized during the festival, which was attended by 27,500 people on a weekend when temperatures reached 105 degrees. Like Pandher, many patients arrived catatonic, their body temperatures critically high. "We saw illegal drugs, lots of impure molly, and it makes diagnosis and treatment more of a challenge," says Quincy Medical Center's Glenda Bishop. Pandher's heart had stopped and he was flown to a British Columbia hospital by helicopter. It would be too late. Deprived of oxygen, his brain had checked out. He would become the second casualty of this year's festival. "The hospital told us he got heat stroke," says his younger sister Kirad Pandher. Pandher's tragic death isn't an isolated incident. 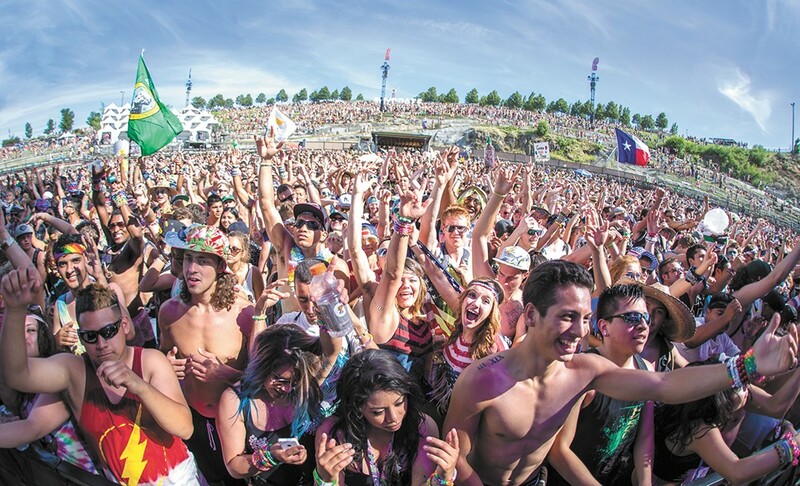 Young people have dying at electronic dance music (EDM) festivals like United State of Consciousness (USC) Events' Paradiso around the region and nation at alarming rates in recent years. "When people get in trouble with MDMA, they raise their heart rate so high that they basically sort of burn up," says Tammy Anderson, a University of Delaware professor who studies rave culture. A 24-year-old man died at the Electric Daisy Carnival in Las Vegas last month; a 20-year-old man died at USC's Life in Color paint party in Tacoma in May; a 20-year-old man died at USC's FreakNight party in Seattle in October; a 23-year-old woman died at the Safe in Sound Festival in Boise in October. Toxicology information isn't available in Pandher's case yet, says Barb McLintock at the BC Coroners Service. Anderson says no one knows how many of these deaths have occurred nationally, but numbers from the Drug Abuse Warning Network show emergency room visits for MDMA climbed from 10,227 in 2004 to 21,836 in 2010. Rave culture arrived in the U.S. in the 1990s. Back then, promoters at underground raves embraced the drug culture, and harm-reduction services like drug testing were the norm at events. Concern about drug use at raves reached a fever pitch in 1998 after 17-year-old Jillian Kirkland overdosed on ecstasy at a rave in New Orleans, and in 2003 Congress passed the Reducing Americans' Vulnerability to Ecstasy (RAVE) Act. Now known as the Illicit Drugs Anti-Proliferation Act of 2003, the law made it possible for the federal government to prosecute promoters for drug use at their events, slapping them with fines to the tune of $250,000 and up to 20 years in prison. The law worked to shut down underground raves. But instead of disappearing, the culture moved out of abandoned warehouses and into the mainstream; today the Association for Electronic Music values the industry at $6.2 billion. Promoters implemented zero tolerance policies to avoid running afoul of the RAVE Act. The drugs didn't go away, though. "The rub with that is that rave culture always had drug culture worked into its fundamental fabric," says Anderson. "Who can stay up and dance until 6 am without being on drugs?" Industry insiders don't see it that way. "The electronic dance music industry does not have a drug problem," says Edwin Reyes, USC's health and safety director. "I do rock concerts that have the same amount of drugs." Reyes says there's only so much that USC can do to make their events safe. He's added extra staff and free water stations, and he's been promoting a message of abstinence and personal responsibility for years. "Ultimately it's personal responsibility what you do; if you want to use drugs and you do all of them in line because you don't want to get busted, that's on you," says Reyes. Anderson says she worries that promoters are hiding behind the RAVE Act and using it as an excuse to not offer better medical care and drug prevention education at their events. "The RAVE Act may have been well-intended, but it has ended up killing people," says Inge Fryklund of Law Enforcement Against Prohibition, a group of former law enforcement officers who advocate for legalizing drugs. "We've decreed the death penalty for people who are young and not too careful about who gives them what." As raves went mainstream, harm-reduction groups that attend events to offer drug-adulterant testing services and brochures with warnings about bad drugs headed underground. If the Bunk Police — a drug-test kit vendor — want to offer harm-reduction services at festivals, founder Adam Auctor has to smuggle in the baseball-sized kits. Many promoters turn a blind eye, but not USC or Live Nation (the company that manages the Gorge), Auctor says. "They don't understand harm reduction," he says. "They prefer to decrease liability by removing us and treating us like criminals." Reyes says that allowing drug-test purveyors like the Bunk Police or DanceSafe — a harm-reduction group that tests drugs for adulterants at events and hands out educational materials — would essentially be condoning drug use. "Drug use is prohibited at our shows," says Reyes. "To set up drug testing is to say it's OK to come with your drugs as long as they're good drugs." Quincy Medical Center's Bishop says Paradiso's organizers need to do more, and that the patients who arrive from the festival are in far more critical condition than those who arrive during other Gorge events. "Something needs to be done," says Bishop. "Three deaths in 24 months is three too many." After Dede Goldsmith's 19-year-old daughter died of MDMA-induced heat stroke at an EDM show in 2013, she started a petition to amend the RAVE Act and allow harm reduction back into the rave scene. But Anderson says amending the Act won't happen quickly. "It will require a federal response by Congress or the president. I don't see it on the agendas any time soon," says Anderson. "The feds aren't talking about ecstasy." Pandher's family are left to wait for the toxicology report and cope with their loss.